Led by the finest guides in South Africa, thought-provoking and often emotionally charged tours are conducted daily to Isandlwana and Rorke’s Drift. Walks and mountain biking through the reserve to view abundant game and birdlife are offered as well as fishing the 20km frontage on the Buffalo River. The lodge is the original establishment, built by David and Nicky in 1989, and rebuilt and refurbished in 2017. 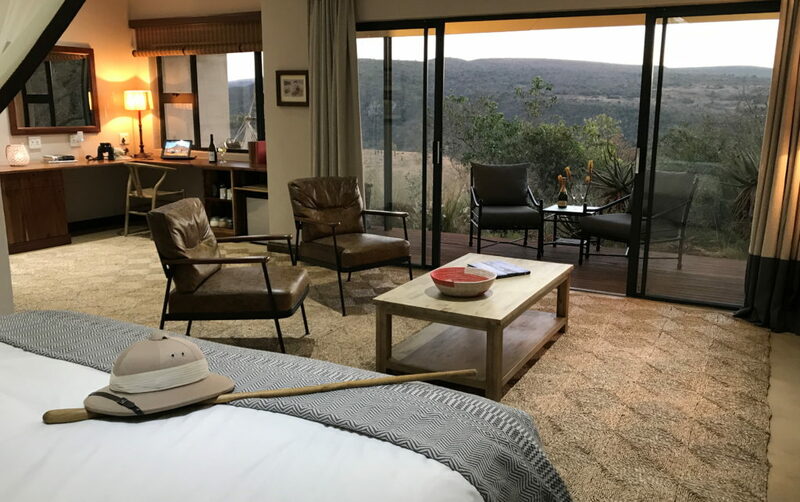 It is the most luxurious of all of our accommodation options; each spacious room has an en-suite bathroom with both inside and outside showers, air-conditioning, a mini-fridge, and a veranda with views of the plains flanking the Buffalo River gorge. Meals are taken communally in the large dining room or- weather permitting- out on the deck. 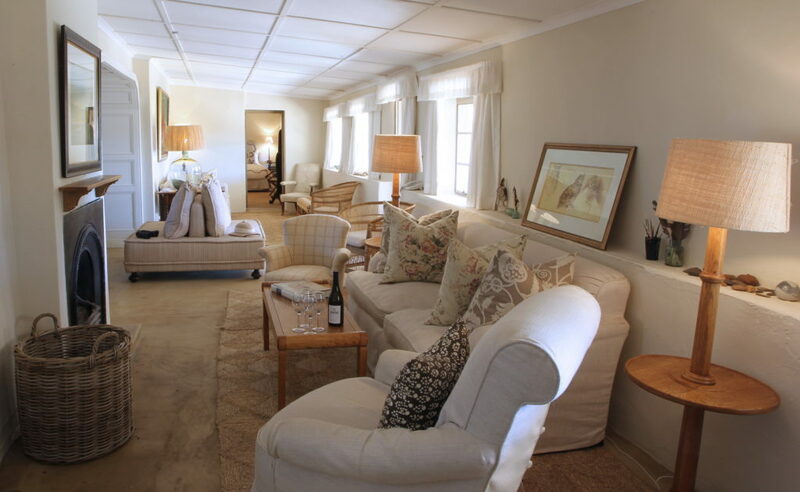 The Lodge has a swimming pool with a view of both Rorke’s Drift and Isandlwana. 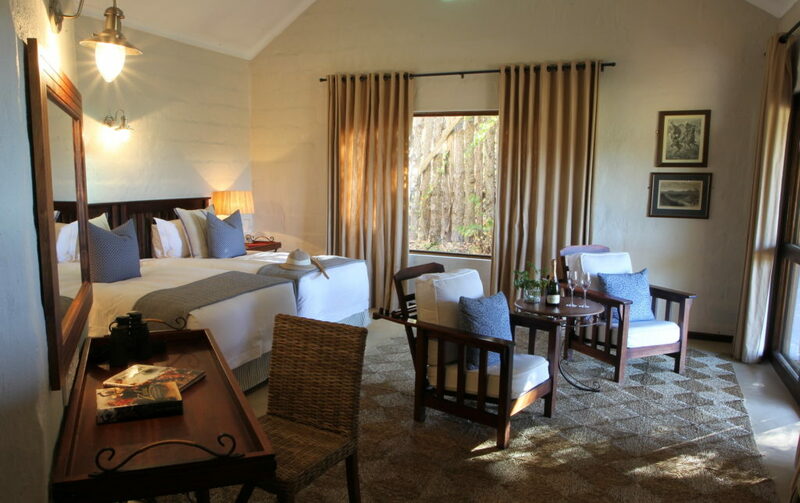 Guest House rooms are comfortable and individually decorated, with ceiling fans, en-suite bathrooms, and verandas with views out into the garden and onto the indigenous bushveld. The Guest House boasts a sparkling pool and relaxing garden. The original farmhouse has been altered, and now forms a charming sitting and dining room, where meals are taken communally. Visit the graves of Lieutenants Melvill and Coghill who lost their lives in an attempt to save the Queen’s Colour, earning the first two posthumous Victoria Crosses ever awarded. 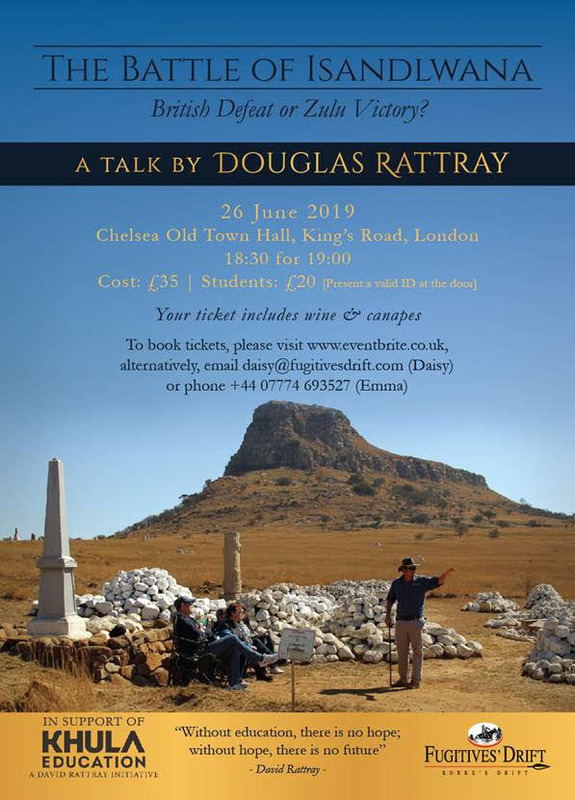 Fugitives’ Drift is world-renowned for moving, passionate, detailed and remarkable battlefield tours to Rorke’s Drift and Isandlwana. Our tours to the battlefields were first conducted by David Rattray in 1990.He quickly gained international recognition for his unique story-telling abilities.David was often supported by other lecturers who benefited from his knowledge and experience. Featuring previously unpublished watercolour paintings and sketches of the Anglo-Zulu War, by Lieutenant William Whitelocke Lloyd.